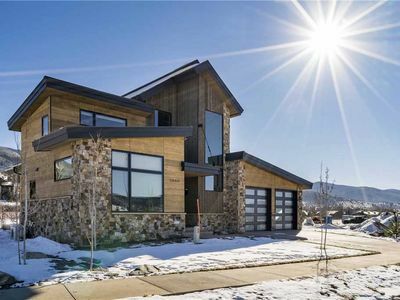 Welcome to this beautiful 6 bedroom, 5.5 bathroom contemporary-style home, located in Steamboat Springs, Colorado. Surround yourself in luxury with plenty of room to share an incredible vacation with multiple families, or a large group of friends. Enter through the two car garage into the mud room, where you can take off your snow covered boots and jackets then leave them out to dry. 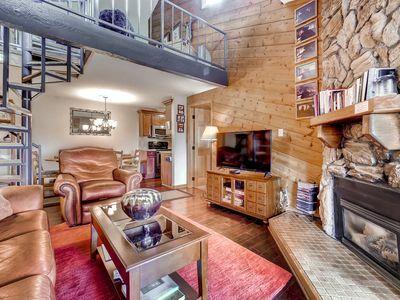 Inside the house, you will find a laundry room with a full washer/dryer for drying off those wet ski clothes. Continue into your vacation home towards the bright entry way which opens into both the grand living room and fully equipped kitchen. You will find a chef's dream, state-of-the-art kitchen with upgraded, top of the line appliances including a warming drawer. The open dining room features a chic wooden table that can seat ten, in addition to a gorgeous marble island with seating for four. 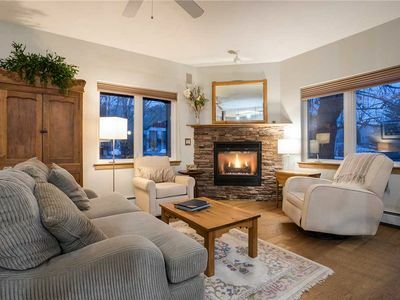 The open living room offers sweeping views, comfortable modern furnishings, a Smart TV and a gas fireplace perfect for an evening gathering. 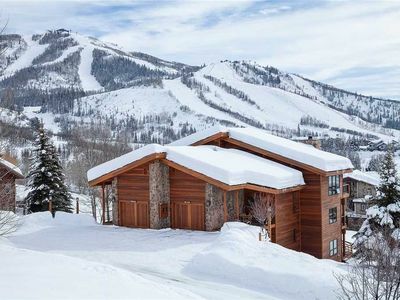 The house now features an eight-person hot tub – just steps from the living room – to soak away the day's strenuous activities. 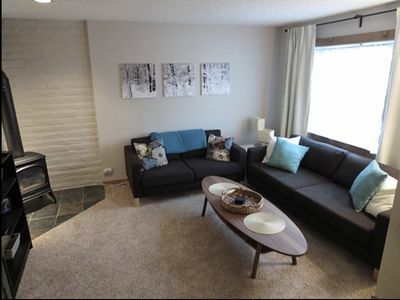 The main level offers 2 bedrooms, 2 bathrooms and a half bath. 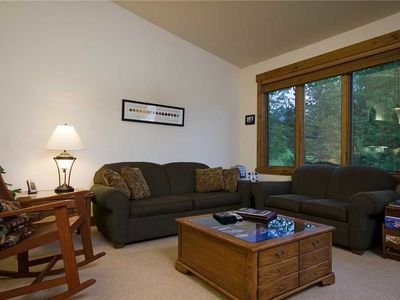 The front room bedroom has one queen bed, a Smart TV, and an ensuite bathroom with an ample walk-in closet. The master bedroom sits just off the kitchen and features an inviting king size bed, Smart TV, and a stunning ensuite bathroom complete with a modern, soaking tub and large shower. 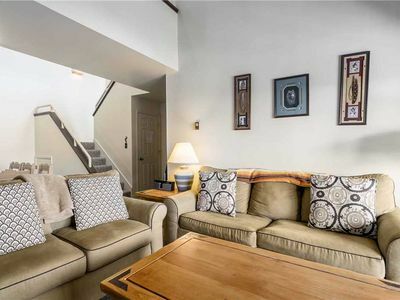 Walk up the expansive staircase to an open loft with natural light, welcomed air conditioning and three ample sized bedrooms. The third bedroom upstairs has a new queen bed, Smart TV, separate air conditioning and an ensuite bathroom complete with a shower and tub combo. The fourth bedroom has a new queen bed and an ensuite bathroom with a tub and shower that is shared with the fifth bright bedroom – also featuring a new queen bed. Head back down the staircase to the lower third level. 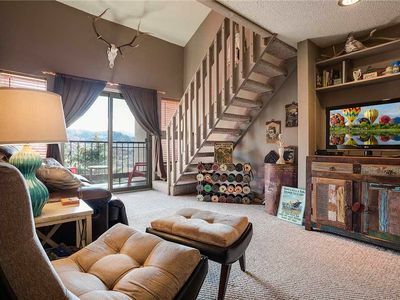 This level offers a multi-purpose family fun room. 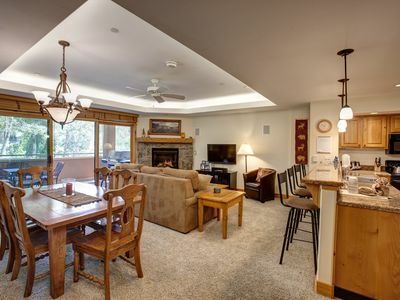 You’ll find a fantastic wet bar and wine fridge to please the adults. Additionally, both a foosball table and ping pong table will bring together guests of all ages. 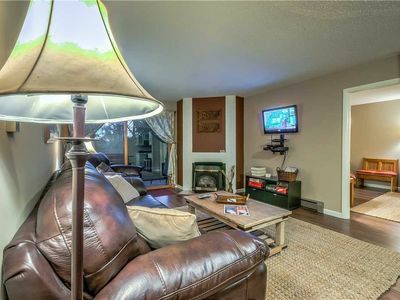 When you and your guests are in the mood to relax, hang out on the large bean bags, prepare some snacks, and enjoy a movie night in front of the large Smart TV! Nearby, you will find the sixth bedroom, which is truly the ultimate bunk room. Guests will appreciate the massive Smart TV that can be viewed by all guests occupying the 3 full size bunk beds. The bunk room also has a modern queen sleeper sofa if additional sleeping arrangements are needed. The well-appointed tub/shower bathroom completes the five and a half baths in the home. 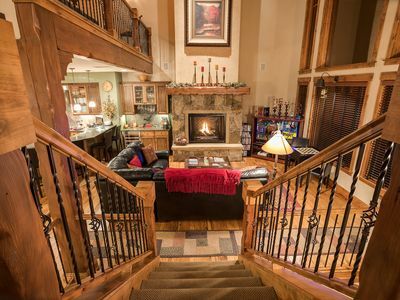 The home can comfortably accommodate 18 guests. 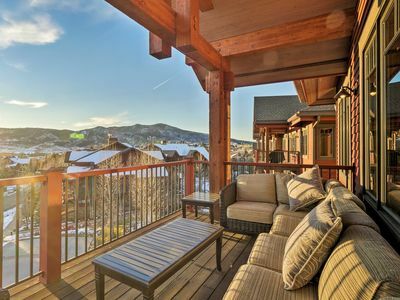 Wildhorse Neighborhood Amenities include a large pool, 3 hot tubs, fitness center, game room, an outdoor fire pit, and BBQ area. You will also have access to the Wildhorse Gondola, which takes guests from the property up to Gondola Square. 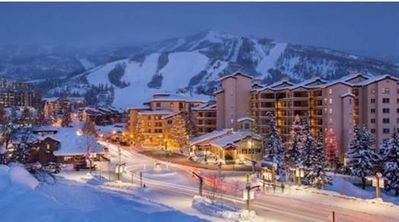 Our winter shuttle services can bring you to the best areas for shopping, dining and exploring in Steamboat. 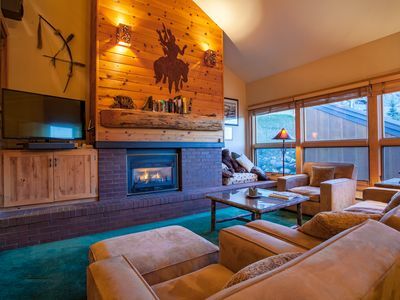 W3205 by Mountain Resort~Updated, Charming Ground Floor~Hot tub/pool onsite! 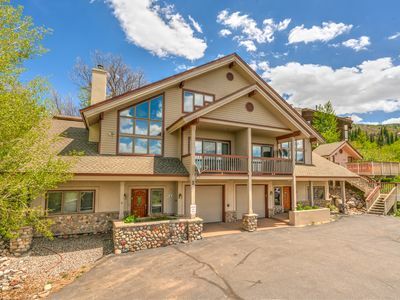 Spacious Retreat for Large Group! 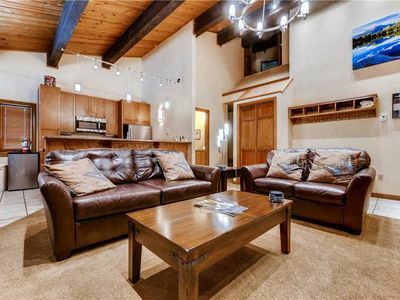 Double Living Room Areas to Entertain! 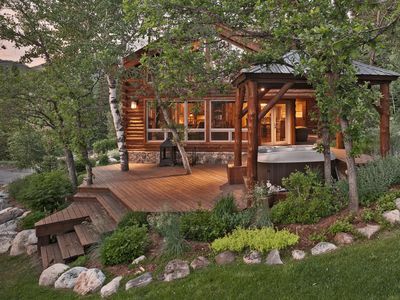 Two Bears Lodge by SLBCo I Beautiful Luxury Cabin w/Privacy | Quiet Street, Hot Tub and Beyond! 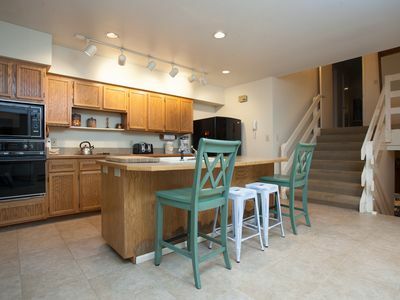 Awesome Summer Location - Spacious Townhome in Local Neighborhood! NEW! 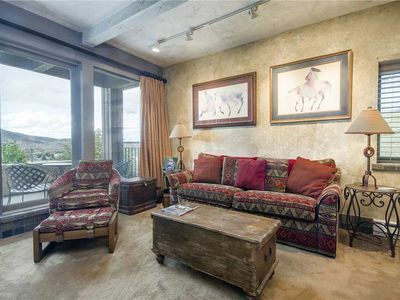 Luxury Steamboat Condo - Half Mile to Lifts! 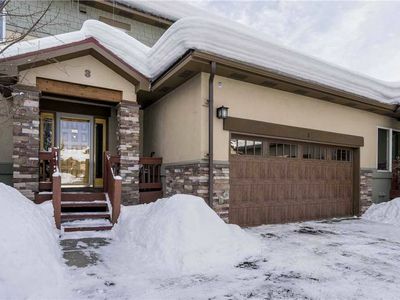 Family Friendly Townhome-only steps from Ski Bus Stop! !